I hate to admit it, but I know I am a geek. The new Steven Spielberg movie “Ready Player One,” based on the fiction novel by writer Ernest Cline was tailor made for me. Pop culture references run abound in this well-crafted flick. 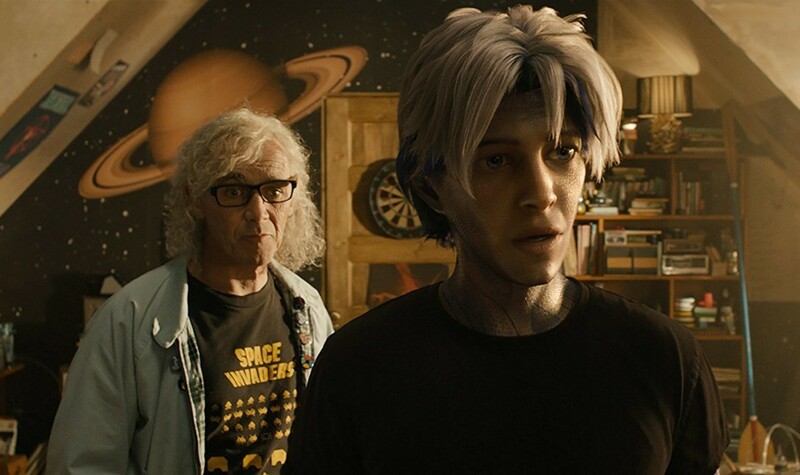 What was really cool was seeing our hero, Percevil (Tye Sheridan) make an avatar that references the character of Buckaroo Banzai, a character Peter Weller played in 1994’s “The Adventures of Buckaroo Banzai Across the 8th Dimension.” It is significant because it had Weller, John Lithgow and Jeff Goldblum (who worked on Spielberg’s “Jurassic Park” and its sequel “The Lost World: Jurassic Park”). Even further claim to my geek dome is the fact I was a member of The Blue Blaze Irregulars, the official fan club of all things Team Buckaroo. I am such a dork that I remember going to comic book conventions when I was a kid in the 1980s. These were not star driven events, rather more subdued places where one just purchased comic books and magazines covering everything and anything for the comic book world. The plot for “Ready Player One” concerns the ability the winner possesses to get the three keys to inherit Halliday’s ’s stake in the Oasis, the virtual world present in the “Ready Player One” worth an inordinate sum of money. The list of other inside jokes is ludicrous, including a nod to Stanley Kubrick’s adaptation of Stephen King’s “The Shining” wherein even the writer of the book it is based on did not even like Kubrick’s interpretation of his acclaimed novel. Also present are nods to friend and colleague Robert Zemeckis, when a Rubik’s cube is now a Zemeckis’s cube. And in a rare departure for Spielberg, his composer for “Ready Player One” is composer Alan Silverstri, who provided the score on Zemeckis’s “Back to the Future” trilogy. I only bring this up, because for years Spielberg has worked exclusively with John Williams for most of his movies. Also present in the script are various nods to everything based in the past 50-plus years, including nods to “Saturday Night Fever,” games for the Atari 2600, a reference to Rosebud from 1941’s Orson Welles masterpiece “Citizen Kane” a “Ladyhawke” poster, various references to John Hughes’ movies, as well as “The Beastmaster,” an actual “Iron Giant,” (actor Vin Diesel was in Spielberg’s Oscar-winning “Saving Private Ryan”), the holy hand grenade from “Monty Python and the Holy Grail”), Chucky from “Child’s Play,” wherein the characters just exclaim mother bleeping’ “Chucky” and a little poster for “Joust,” a 1980’s era video game. Like 2014’s “The Lego Movie,” imagination is the key to remembering one’s childhood, as well as the luxury of just sitting down and playing a video game. That is what the movie deals with. One’s ability to just sit down and interact with the small screen in front of them. Like I said earlier in my review, this one was totally geared for my love of everything pop culture based in my life. I enjoyed “Ready Player One” from the first frame, resulting in one of the best movies I have seen all year.